Should you buy shares in retirement? Remember the rules of thumb that advise shrinking your equity allocation as you age in retirement? Well, a radical paper from two US retirement research experts, Wade Pfau and Michael Kitces, threatens to turn that advice on its head. 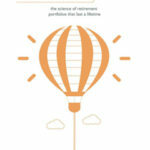 Their research suggests that investors may actually be better off increasing equity exposure during retirement. In the world of retirement planning that’s like walking into the medieval Vatican and claiming that the Earth is not flat, that it does indeed revolve around the sun and, by the way Popey, women would make very good priests. The conventional approach of decreasing your equity allocation in retirement is meant to protect you from big bear markets. The idea is to cut the risk of your portfolio evaporating when you have fewer years left and can’t wait for a market recovery. But the biggest threat to a successful retirement is a long run of bad returns in the early years, otherwise known as sequence of returns risk. A combination of a lost decade and having to sell equities at low prices in order to live can diminish your portfolio – to the point where it won’t recover even when the salad days return. The contrary approach being advocated by Pfau and Kitces builds in sequence of return risk protection, according to their results. In this analysis, your equity allocation is trimmed in the run up to retirement as normal. But then, instead of continuing to cut shares out of your life like so many Mars Bars, you gradually increase your intake – post-retirement – for so long as ye shall last. The authors call this a rising equity glide path and envisage a lifetime allocation to equities that resembles a U shape. Part one: Bad stock market returns early on: The majority of your portfolio is in fixed income assets i.e. bonds, cash and/or annuities. You don’t permanently damage your portfolio because your living expenses are mostly paid from the fixed income, so you don’t have to sell equities at low prices. Part one: Good stock market returns early on: Your portfolio grows well beyond the amount you need for a happy retirement. At this point you could decide to protect your winnings and move into less risky assets, knowing your retirement is secure (unless you marry a Kardashian). 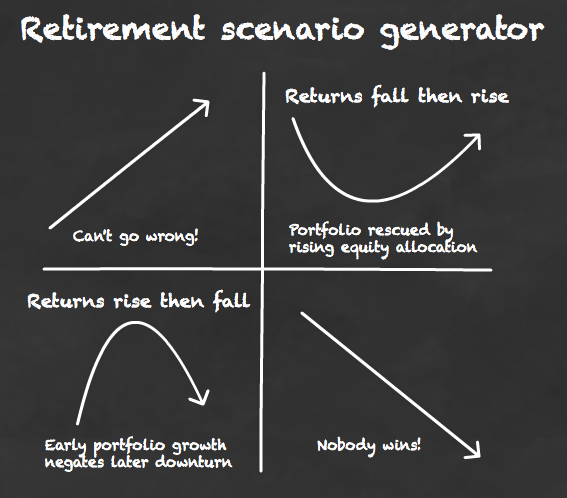 Part two: Poor returns later: In most scenarios the portfolio swelled so much in the golden years that it’s still able to sustain your life style as your clock runs down, even if (/when) the market eventually turns lower. Of course, other things could happen, too. The market could be bad and stay bad: If your fate is nothing but lost decades then we’re all in trouble. At least your early (and traditional) heavy fixed income allocation starts you off on the right foot. You can find out how all the scenarios play out in detail by reading the research paper and Kitces’ excellent précis. Equity allocation at the start of retirement is 20 – 40%. Equity allocation at the end of 30 years is 60 – 80%. The percentages change according to each scenario’s assumptions based on differing withdrawal rates, returns, retirement lengths and objectives. The historical returns scenario favours an initial equity allocation of 30% and a final figure of 70%. The authors suggest that the rising equity glidepath can be managed using a rule like rebalancing 1% of your portfolio per year from fixed income to equity. The more downbeat the return assumptions1, the less difference a rising equity glidepath makes in comparison to conventional strategies. In certain low-return scenarios, the results require investors to think about what they fear most – missing their target income goal, or missing it by miles. If you’re dead set on reaching an ideal income goal then you need a high equity start and end point. Essentially you’re gambling that equity returns turn out favourably, but you could suffer if they don’t. If you choose a low equity start and end, then you limit the chances of a big shortfall but increase the probability that you will run out of money before the end of your retirement. (In other words, you’re not heavily exposed to a major fail scenario for equities that means you burn through your capital very quickly, but by the same token you’re not exposed to a major success scenario either). It seems the debate on the best retirement strategy is far from over. When I first started investing, I clung on to rules of thumb as beacons of certainty that I could navigate by. But it’s obvious now that there is no single rule of thumb that everyone can abide by and expect to live happily after. Certainly simpler strategies exist, and rules of thumb can help us manoeuvre into the right areas, but it is in our nature to want to optimise our approach. Rising lifespans throw another Zimmer frame into the traditional machinery of pension planning, too. Pfau and Kitces acknowledge there is plenty more work to be done refining their analysis. Other researchers may well counter or improve upon their findings. 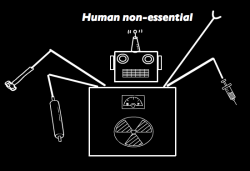 But what makes this research so exciting is its potential to cave in the calcified assumptions of old while helping us achieve better results just when we need them – in the future. Wouldn’t choosing a “glide path” be rather inflexible compared to choosing a diversify-and-rebalance strategy, such as the Harry Browne Permanent Portfolio or one of its competitors? Interesting, I know of at least one person whose stubborn refusal to abandon equities in retirement saved his tail as the value of his final salary pension was hammered by twenty-odd years of inflation eroding its value. A FSP is sort of like the bond allocation in being fixed income, or at least capped w.r.t inflation rises. You and Monevator put out some wonderful stuff, thanks both! Just a small request, can you please not use the white on black charts – sometimes I like to print and read your articles, the huge black areas really eat the printer cartridges! Keep up the great work, you are doing us all a great service! Another interesting post. Some people now retired like my father have the luxury of a defined benefit pension which just about covers their basic expenses, so they can hang on to their equity portfolios as a ‘top up’ and not need to buy bonds at all. I won’t have that so I see a third option as maintaining a permanent-ish portfolio, then diversifying into property at or near retirement by paying off a buy to let mortgage (unless rising interest rates – or poor returns – have already made this cost effective). Some may see this as a whole new level of risk but ignoring capital values, rents should provide some return and the property can always be sold if necessary albeit with a potential CGT hit. I suspect that a firm like Alliance Trust Savings will have a good view of how its older investors like to hold on to equities. When I first got interested in Investment Trusts back in the eighties it was my impression that many pensioners would hang on to their shares in the likes of Alliance; indeed that they would hang on to shares that they had inherited. I can picture Grandpa saying “Whatever you do, son, dinna sell oor shares in the Alliance Trust”. 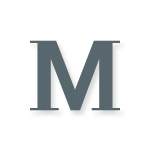 @ dearime – the paper considers a static asset allocation strategy like you suggest (though it isn’t the Permanent Portfolio) and a rising glidepath comes out on top. One of the scenarios that the Permanent Portfolio guards against is deflation. William Bernstein commented at the recent Bogleheads Conference that the threat of deflation has all but disappeared in the fiat money era. Even Japan has only suffered 2% deflation and the only other two countries to suffer a noticeable episode were Hong Kong and Ireland. There’s more in his e-book, Deep Risk. Ermine – You’re absolutely right. The paper’s authors themselves wonder how easy it would be for retirees to grapple with an ever-more volatile portfolio in their dotage. Their initial suggestion is to explain the strategy as a bucket strategy, but you never refill the bucket. Interesting. I can’t help thinking that all this optimisation (of course, optimised to the past, not the future) is a lot of naval gazing spreadsheet worship, which I must admit I have a tendency to do myself. My current plan is simply to be 100% in equities forever, or about 95% with a cash float to help create a progressive dividend income when I want it. 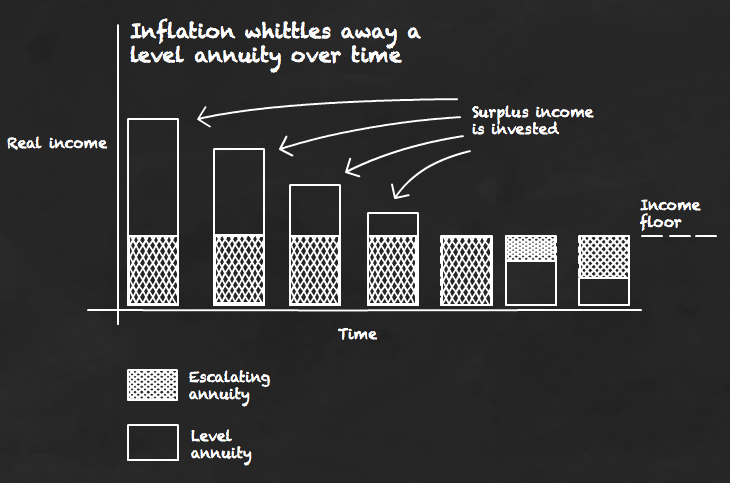 If at some point my brain can’t keep up with generating an income from equities then I’d probably switch to an annuity and forget about investing altogether. On The Motley Fool boards, “Luniversal” recommends a strategy of using a portfolio of seven or eight Investment Trusts to generate rising income, and letting the capital value go where it may. Pretty easy to manage, I’d imagine. “A FSP is sort of like the bond allocation”: I agree; we view ours as replacing the need for Index-Linked Gilts. And for Property we have our house, though I suppose I should argue that it’s the value of the surplus house above our acceptable minimum that we should view as a financial asset. So all that we need is heaps of Cash, Gold, Fixed-Interest Gilts and Equities. Easy on the Gilts would be wise, I suppose, unless we turn out to be Japan Part II. I have great faith in my countrymen somehow to generate inflation though. As for the gold, I do wish the banks near us hadn’t closed all their safety deposits – instead we hold some ETFs, but not too comfortably. What reason should I have to be comfortable holding equities as ETFs rather than, say, Investment Trusts? Have ETFs been thoroughly tested under enough different circumstances? Actually, you’ll find your lives aren’t getting shorter by 24 hours a day, but considerably less than that! I’m uncomfortable with this research, but just don’t have the time to read it to be able comment. Oops. My earlier comment should have said Japan only suffered 2% deflation. @ John – Your spreadsheet theory has me grinning with recognition. Guilty! It’s like reading tea leaves looking for the answer. All the same, I think it’s worth knowing about research like this that has the potential to slaughter one of the sacred cows of investing. Yes, I’ve never accepted the conversion into bonds view. I started (early) retirement with a 40% equity allocation and its now 44%. I’m not sure I’d want to let it rise above 60%, though. But, as has been said, I have an FSP, so bonds seems a bit unnecessary in any quantity. If yields ever return to their historic means, I could see an allocation of up to 20%, eventually. One of the scenarios that the Permanent Portfolio guards against is deflation … the threat of deflation has all but disappeared in the fiat money era. i) How much longer will the fiat currency era last? ii) Suppose that the risk of stagflation replaces the risk of deflation. Does that mean that 25% in long fixed-interest gilts should be replaced by 25% in long index-linked gilts? Or, as discussed above, by an FS pension with good inflation protection i.e. preferably uncapped. The maximum drawdown, i.e. loss in in the UK Market over the last five years is 35%. That is the worst case scenario for equities. Dividend income fell much less than that, about 20%. The erosion of value in bonds because of inflation is harder to measure, but more damaging in the long term. Great stuff. Since I read your article and Kitces’ summary I have been working my way through Prof Pfau’s blog posts. There is some really interesting material on there. I also like the guy’s style……modest and personal.